ACTIVATE! CHANGE DRIVERS SUPPORTS THE CALL TO TURN SOUTH AFRICA AROUND - Activate! RE: ACTIVATE! CHANGE DRIVERS SUPPORTS THE CALL TO TURN SOUTH AFRICA AROUND. “I really think and feel that the President is in point – I honestly hope and pray that everything that he said will certainly happen. Especially everything around job creation, inclusive growth, investments, buying & supporting local businesses & health related initiatives for the poor” said Activator, Nathacia Olivier when asked to comment on the President’s speech. ACTIVATE! Change Drivers is ready to get to work and build a better South Africa. We welcome the President’s commitment to dealing with corruption and we receive the Presidential commission on the Fourth Industrial Revolution. 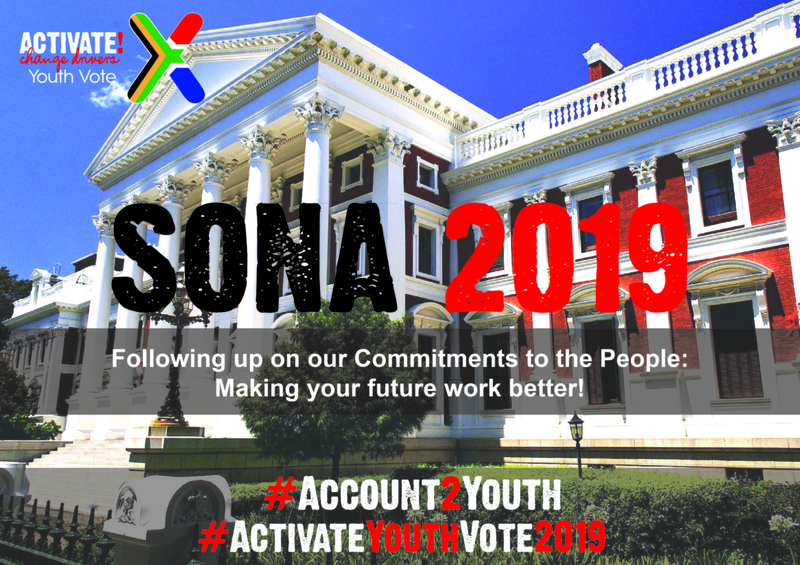 Together with multitudes of other young South Africans, ACTIVATE! Change Drivers commits to being active citizens and we look forward to the future.